The UK eats more tuna than any other country except the USA. No wonder – it’s the UK’s most popular tinned fish. But tuna also provides a critical part of the diet of millions of people across the globe. Sadly, rampant overfishing is pushing some species, like the magnificent bluefin tuna, to the brink of extinction. Our appetite for cheap tinned tuna also puts other species like sharks, turtles and rays at risk through indiscriminate catch methods. We work to promote sustainable fishing methods, and to stop the fishing of endangered tuna species. Bigeye and yellowfin tuna are fully exploited or over exploited in all oceans – they are in serious trouble in the Western and Central Pacific Ocean, where they were relatively healthy just a few years ago. Stocks of the magnificent bluefin, the most iconic and valuable of all tuna species, are on the brink of collapse. In 1999, Greenpeace recorded an 80 percent decline in Mediterranean bluefin. And it’s getting worse. Advances in technology mean that large ships – floating factories – are now able to take as much tuna in two days as whole countries can take in a year. Increasing practices of tuna ranching are further aggravating the crisis. The biggest tuna fishery in terms of volume is skipjack – the tuna most likely to end up in cans. While skipjack is not yet overfished, if fishing continues at current rates it won’t be able to sustain itself. What’s more, the methods used to net skipjack all too often catch young yellowfin and bigeye, threatening these species further. Yellowfin, a much more commercially valuable species, makes up 35 per cent of the world’s catch. Today the majestic bluefin only represents 1.5 per cent of the landed volume of tuna, but its dollar value is astronomical. In 2001, a single bluefin tuna set an all time record when it sold for US$173,600 in Japan. 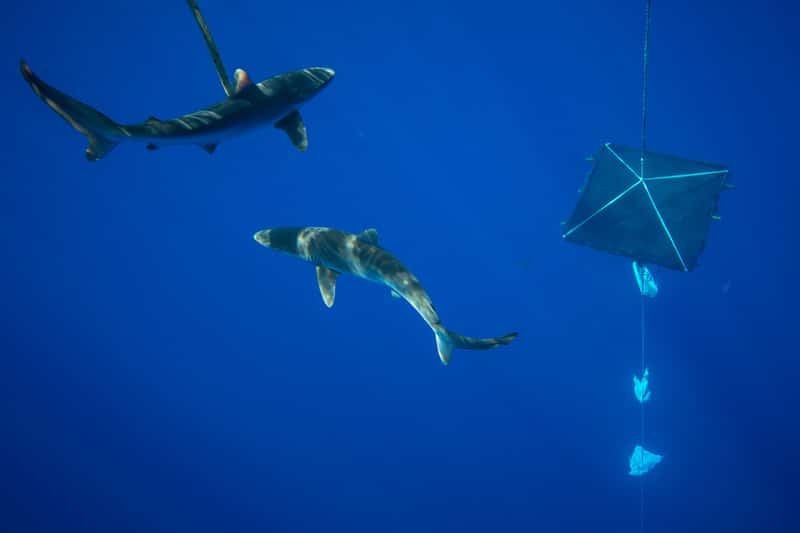 Numerous other marine species are hooked and netted in the global tuna fisheries. Around 100 million sharks, plus tens of thousands of turtles, are killed every year – causing devastation to the entire marine ecosystems. Pirate fishing is also rampant in high value tuna fisheries, literally stealing tuna from the plates of some of the poorest people in the world. But even the legal tuna fisheries are part of the robbery. The so called “sweetheart deals” that fishing nations and rich multinational corporations negotiate with coastal states for access to fish tuna in their waters are incredibly unfair. Only around five per cent of the value of the tuna is given to the resource owners, often denying coastal communities much-needed employment and neglecting the responsibilities to fish responsibly. 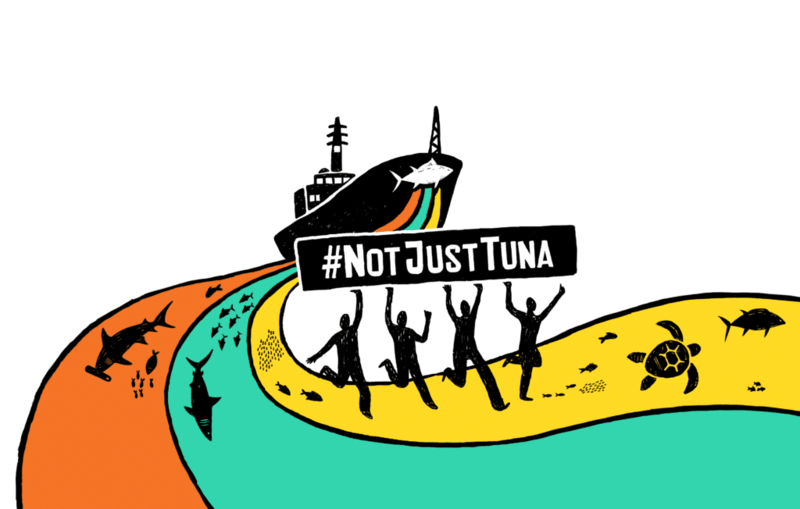 Supermarket retailers across the world from Norway to New Zealand and USA to Spain are being asked by Greenpeace to answer the hard questions: Where does our tuna come from? Is it sustainable? Is it caught from an area where developing countries are being ripped off? Is it stolen? We are asking them to make sure that they know where their tuna originates, from boat to shelf, and commit to only sell tuna which is caught sustainably, by small-scale developing country fleets or under agreements which are fair to the people of the Pacific. Waitrose, Tesco and now Sainsbury’s? John West caught red handed in the Indian Ocean – thanks to you! 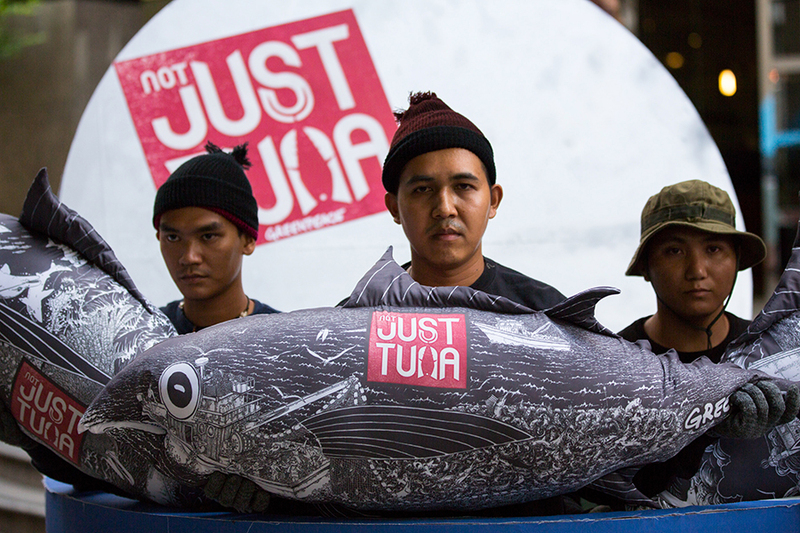 How you CAN help us uncover dirty tuna!